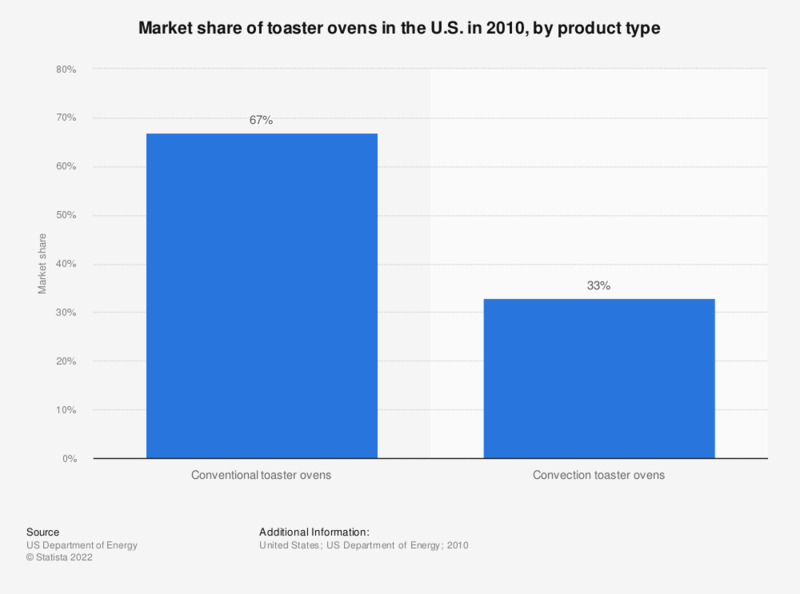 The statistic illustrates the market share of toaster ovens in the United States in 2010. In 2010, convection toaster ovens hold a market share of 6 percent of the toaster ovens retail sales in the United States. In 2010, the retail sales of conventional toaster ovens amounted to 3.4 million units in the United States.